I spend a lot of time considering the social skills of my boys. They seem to me to be very outspoken, clear and adaptable in talking to a surprisingly wide variety of people about a lot of different things. Still, I would be lying if I said they had lots of friends and people over to play all the time. They just don’t. My oldest boy started going to parkour classes the other day. The class is in the afternoon, and it only occurred to me as we pulled up that they were timed to start fifteen minutes after school finishes. The club where the classes are run suddenly filled up with about a hundred and fifty kids. As well as the parkour class, they were playing ball games, riding bikes, having a birthday party, doing a martial arts class, and just generally running around doing crazy kid stuff. I found myself sitting next to a couple of young lads who were just hanging out, so we struck up a conversation. They were five and six. One of them had just lost a couple of teeth and proudly showed me where they were growing back. His mate accidentally dropped his snacks all over the floor, but then went on to happily explain that the floor was being cleaned all the time and he was quite comfortable eating off it. There was so much loud positive energy in the building with all these kids enjoying themselves. For the first time in a long time, I thought I had made a terrible mistake. If this was going to school, my boys should be going there, not staying at home. It was only then that I realised that although all these kids were wearing school uniforms, this was the bit they had not been allowed to do all day. What I was actually watching was the opposite of school. Is this why they were all having such a great time? What really triggered this latest round of thinking about socialising was an article about the president of a school principals association who was making the point that school is not the place to learn social skills. A couple of days later I stumbled on another article, this time about the states Department of Education trying to stop people going on holidays during school terms because of the damaging effect this has on children’s education. We recently spent several weeks in Bali and I classed all of it as educational. I feel that fewer things teach life and social skills faster than travel. For mainstream schools around here, apparently that is none of their concern. Any homeschooling parent who has been grilled about how their kids will grow up to be socially incompetent (which is every homeschooling parent) should see the irony here. We never started homeschooling because the kids were struggling at school or to guide them through an immoral world. We just started it because it seemed to produce good academic outcomes, an interest in learning, and a high degree of emotional fitness. I love that all these extracurricular activities are available. There are actually many more of them than I ever realised. By getting along to these classes, it is just one example of how we can get to what certainly appears to be the social highlight of the school day, without having to sit through the school day first to get there. Do we get to have it all? I am not sure. We seem to get more than most, though. 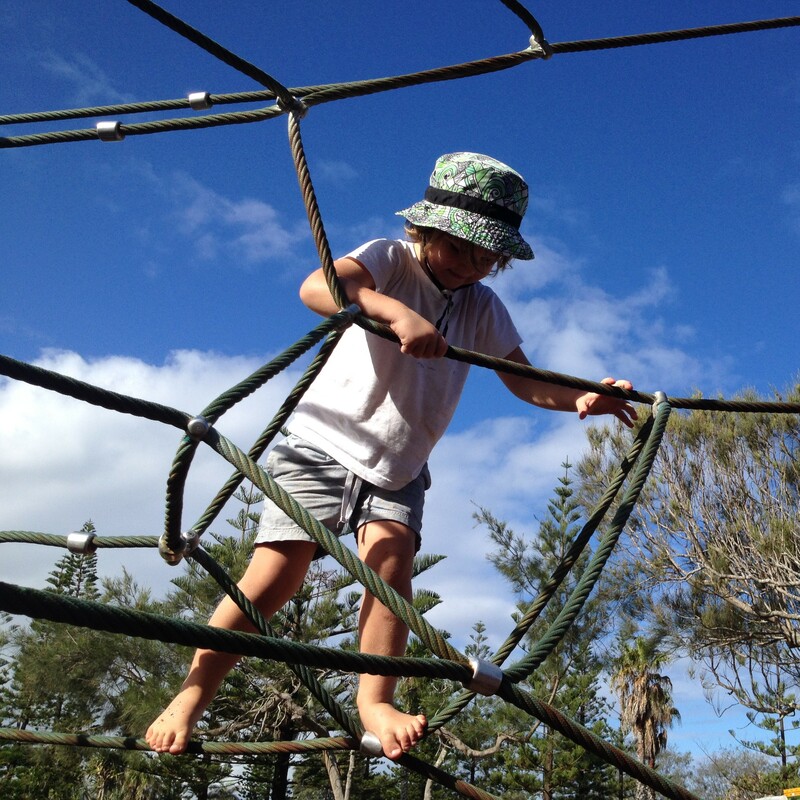 This entry was posted in Life experiences and tagged bloke, homeschool, parenting, socialisation, why homeschool. Bookmark the permalink. Totally agree! There’s a great book called “Hold Onto Your Kids” that addresses the whole myth of school for social skills really well. I love that my daughter socializes across generational lines (she is in knitting group with 2 ladies in their 60’s) and cultural lines (we travel every year to Mexico to visit her grandparents for a lengthy period of time that we couldn’t do if in traditional school). I haven’t been able to come across this book, but I have just been reading a bunch of reviews about it to get a gist of what is inside. It looks great. I like that your daughter is able to get together with people based on interests rather than age like that. The relationships made under those conditions have certainly been the best ones in my personal experiences. Amazing effects of homeschooling! I hope people in my country (Singapore) will get to realize the benefits of homeschool. It certainly does. I think that their own (approximately) aged friends are definitely important, but I would much rather see friendships based on interest rather than age.